The last high profile domestic violence induced death generated plenty of debate. In that story, the tables were turned; a husband allegedly battered his wife to death in a suburb of Lagos. He had a history of pummeling her according to family and friends. As expected, there was plenty of hue and cry. Many lamented and cursed the existence of the alleged killer. For many weeks, the tragedy stayed in our consciousness. We couldn’t have forgotten it so quickly even if we wanted to. Anyone who stood against domestic violence had something to say about the episode, and prominent activists lent their voices to calls for a thorough investigation into the matter. Even I wrote about it here. A juxtaposition of the reaction to Bilyamin Bello’s killing with Ronke Shonde’s which occurred under similar circumstances only last year is all one needs to see the stark difference in the way each situation was received. The news of Bilyamin’s stabbing and subsequent death has not seen anything near the level indignation and condemnation that followed Ronke’s. I have heard one or two people attribute the young man’s senseless killing to the twisted love of a woman who has anger issues. And while I am not presupposing that everyone holds this viewpoint, there’s something about the lack of reaction to this tragedy that suggests that a significant number of people are inured to what happened because the victim is male. Most cases of domestic violence take on the narrative of the man doing the battering, or in extreme cases, taking the life of his wife, and so when we are confronted with the unfamiliar account of men being on the receiving end of violence, we are clueless as to how to react to it. Worse still, we chalk the occurrence up to one of the consequences of being a wimpy man. The psyche of the average Nigerian is skewed to the stereotype of men being so strong and capable of handling anything thrown their way that it’s almost seen as their fault when they become subjects of domestic abuse. If a man is hit by his wife and he refuses or is incapable of fighting back, he is labelled a weakling. We ask why he would marry a stronger partner in the first place. If a man is brutally murdered by his wife on some allegation of cheating, we express regrets about the situation, and in the next breath proceed to talk about how men have been frustrating women with their penchant for cheating since time immemorial as if death should be the penalty for infidelity. As a society, we have perfected the art of hypocrisy and double standards. 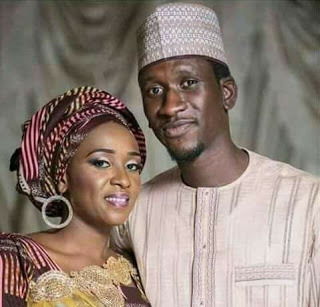 If a man can be subjected to public criticism for inflicting bodily harm on his wife, why are we not making enough noise now that a woman has allegedly murdered her husband in the most brutal way possible? Where is the condemnation? Do we select who we grief for based on gender? Does our silence and seeming acceptance of the development not imply that we place a higher premium on the lives of women? My conversation with a friend about how I found it difficult to wrap my head around the idea of a person going into a murderous rage because their partner cheated seemed to go over their head, until I asked if they would advise their brother to marry a girl who threatened him, slapped him a couple of times or went on an object smashing spree to express their anger over a suspicious text message. They immediately shook their head to confirm they would not be happy to have that sort of person around her brother and went on to concur with me on my earlier point. Our proclivity for shifting the goal post when matters concern people of our gender, culture, tribe, political party or even race is a reflection of our values as a people. Things are not right until our “person” is involved. The same pattern can be observed in different aspects of our lives. The government of the day will never do anything to earn the acknowledgement or applause of loyalists of the previous one. And on the flip side, some of the actions and inactions we criticised in the last administration have become a staple in the present. But this time around we make excuses for them. When we call out greedy politicians and public officials on social media, we only do so in a bid not to stand out as the black sheep in the good crowd. We condemn looters of the treasury, but when our fathers and uncles join the political class and can suddenly afford those things they could only dream about the day before, we fight tooth and nail to defend their “integrity”. Our society will continue to swim in waters of delusion and retrogression if we keep grappling with elementary values such as fairness, justice, equality and respect for human rights. When we rant, rave, hold up placards in protest and demand justice from the system when a woman loses her life as a result of domestic violence, we shouldn’t lose our vocal chords when the same thing happens to a man. Violence is violence irrespective of the gender on the receiving end. ??????????????????????? ?interesting read. I must admit that until a guy I knew was on the receiving end, I felt no pain for the male gender. Truly, irrespective of gender, violence doesn’t change name or meaning n shudnt be condoned, not in our minds or mouths. I also Dont understand the reason d penalty for infidelity is death, but I think its an ego thing. Like, u have shamed me n burst my bubble, so u must die. Options like separation n divorce exist, but reasoning faculties are too clouded with anger. Emotional abuse shouldn’t be payback either. If someone wants to be with another, they should go about getting a clean break and moving on. Maybe because its got to do with emotions, they put the cart before the horse, but then the other party should be willing to let go. That’s the hard part tho. Thank you, Nike. It’s obvious that it’s a crime of passion. The thinking is “If I can’t have you all to myself, then no one will”. Until, we make peace with the fact that we have little control over another person’s decision or choice, we’ll keep having incidences like this. Sadly. Couldn’t agree more. she certainly deserves a fair hearing and judgement, as no one really knows all the facts of the matter just yet. I just find it hypocritical that the people who would have “gone up in arms” if the woman was the victim have chosen to be quiet now. Thanks for contributing.